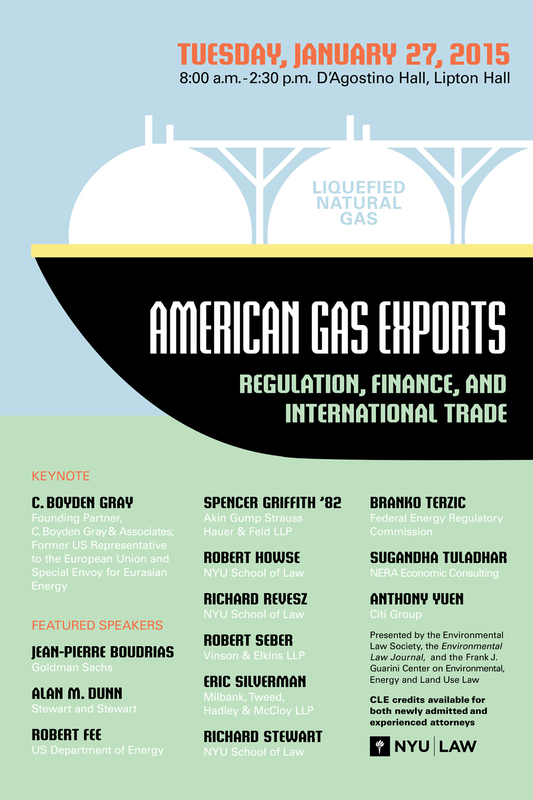 This year’s topic focused on the legal and policy questions surrounding the United States’ transition to exporting liquefied natural gas (LNG). The first panel broke down the “public interest” determination used by the Department of Energy in approving LNG export permits. The second panel discussed the financing and international competition issues inherent in bringing LNG to the worldwide market. The final panel explored the opportunities and constraints posed by America’s international trade agreements. Our keynote speaker was C. Boyden Gray, former Special Envoy for Eurasian Energy.